If you are like many Salt Lake City and Sugar House adults, you started developing cavities fairly young and started receiving the ubiquitous silver amalgam fillings that were used by most family dentists. As the years went by, two fillings became three. If you didn’t drink fluoridated water, three fillings may have became four. Now when you open wide – others see a mouthful of metal. Fortunately, Salt Lake City people with silver amalgam fillings can regain the smile of their youth. The replacement of silver fillings with composite tooth-colored fillings is a relatively inexpensive cosmetic dental procedure available at The Sugar House Dentist – The Sugar House Dentist that can transform a smile just as dramatically as more extensive cosmetic dental treatment. Composite fillings available at The Sugar House Dentist – The Sugar House Dentist in Salt Lake City are comprised of a mixture of glass or quartz and resin which creates a natural tooth-colored material. They are strong and durable when bonded to the tooth with adhesive. Hopefully, you don’t have a new cavity. But if you do, you can start off with a white composite filling. In addition to the cosmetic advantages over silver, the preparation requires the removal of less healthy tooth structure. A conservative (as possible) restoration at The Sugar House Dentist – The Sugar House Dentist leaves you with more of nature’s superior dental material — your own enamel and dentin. If you would like to improve your smile by replacing silver-mercury fillings, schedule a The Sugar House Dentist – The Sugar House Dentist cosmetic dental consultation today by calling 385-299-7840 . We will develop a treatment plan to address all areas of concern. If you have your teeth illuminated in combination with silver filling replacement, you’ll be happy about your new dazzling smile. 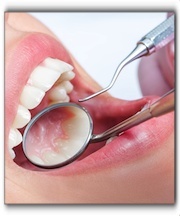 Ask us about family dentistry, sedation dentistry, dental veneers and TMJ treatment. We look forward to meeting you. Call us today at 385-299-7840 .